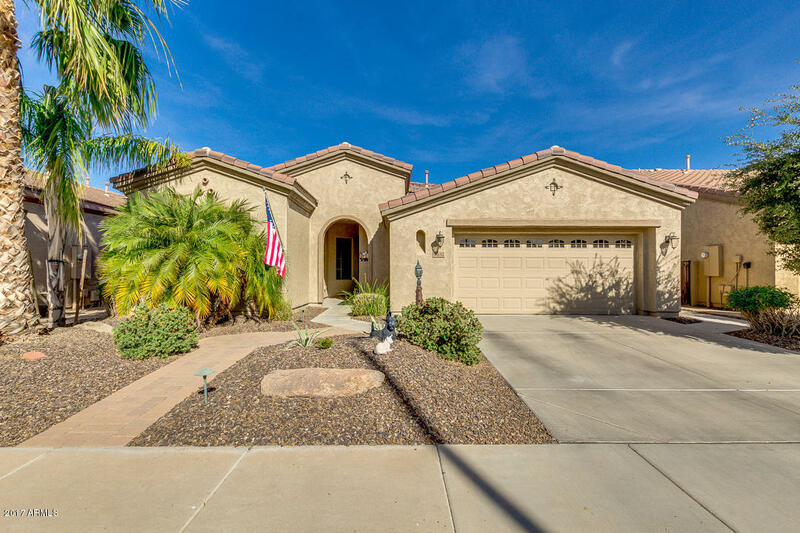 This oasis in the desert can be your next home! Beautifully updated open floor plan on a premium lot is an entertainers dream! Outdoor covered patio features built-in grill, fireplace, and inviting heated salt water swimming pool. Indoor features a 2B/2B split floorplan with a separate den/office space. Great kitchen layout offers GAS range/oven, built in microwave, newer dishwasher and NEW wine cooler. Nice sized pantry keeps food and extra appliances at your fingertips. Updates to this home include new furnace/AC, water heater dishwasher and bedroom flooring in 2016. New pool salt cell replaced in 2017. Note the extended garage. Check out the resort lifestyle that this 55+ community has to offer in golf, tennis, pickle ball, clubs and workout facility.